Former skipper Sunil Gavaskar on Saturday criticised the Indian cricketers for their lacklustre "approach and attitude" towards preparations and said this was precisely the reason behind the home team's disastrous performance in the ongoing Test series against England. "We have been outplayed totally in all aspects of the game. Indian players need to look at their approach and attitude towards the preparation ahead of a game. Talent wise there is no question, but I am disappointed with the approach of the Indian cricketers in the last one year. Taking 5-6 days break after the humiliating defeat in Mumbai was not acceptable. 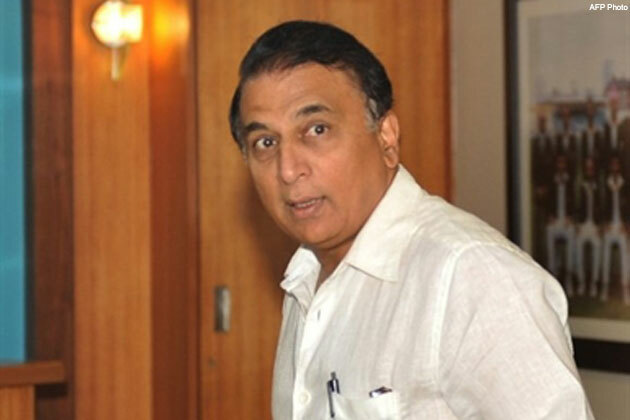 The Indian team should have shown a little more seriousness," Gavaskar said..
Gavaskar's scathing comments came after India produced a pathetic batting display in the second innings of the third cricket Test at The Eden Gardens to stare at yet another humiliating defeat. At stumps on the fourth day, India were 239 for nine in their second innings, giving them a lead of 32, and Gavaskar felt it is time the national selectors take some tough calls. "It is difficult to ignore what happened in the last Test. The selectors will have a hard time to pick the team for the last Test in Nagpur. If the same set of players are not providing results, then the selectors should take a call. The Indians have nothing to talk about their performances so naturally they are defensive," he added. Gavaskar was full of praise for the English batsmen, especially captain Alastair Cook, for their brilliant show against Indian spinners and that too, in sub-continent conditions. "England has worked very hard. Cook showed in Ahmedabad that spin can be tackled," Gavaskar said. They (English batsmen) have applied themselves. The English batsmen saw how Cook had talked spin in the second innings in Ahmedabad and learnt from there," he added. Apart from the 76-run knock in India's first innings in the ongoing Test, Sachin Tendulkar has hardly anything to show in the series. But Gavaskar refused to put the blame on any individual and termed it a "collective failure".